PAINTED SURFACE 4000 TO 8000 SQ. FT.
COMPACTED GREASE & OIL 8000 TO 12000 SQ. FT. CARPET & TILE GLUE 5000 TO 10000 SQ. FT.
FIBERGLASS & EPOXY RESINS 2000 TO 6000 SQ. FT.
ICE AND ANIMAL FAT BUILDUP 5000 TO 10000 SQ. 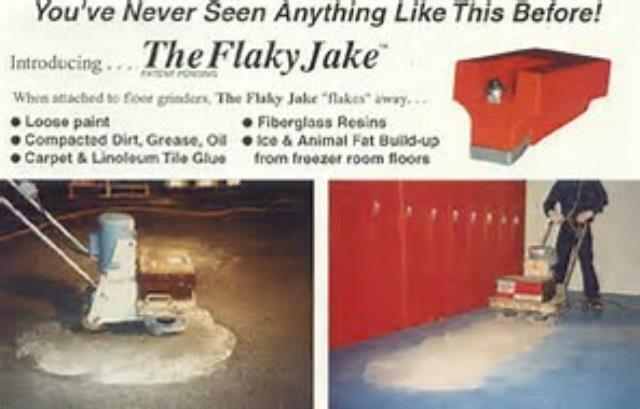 FT.
* Please call us for any questions on our flaky jake kit rentals in Cincinnati Ohio.